Nissa, looking zef as fok. A fairly racist Elf Power planeswalker, Nissa Revane is infamous for derping her way to freeing the Eldrazi, and not producing playable cards. Nissa was originally a member of an elven tribe, but strange visions drove her to leave her tribe so as to spare them from her. The visions lead her past the Roil, the manifestation of Zendikar's wild mana, which she overcame as she came closer to her goal. Finally reaching the place her visions had led her to, she was attacked by a new set of mirages, in which she realized that a dangerous Eldrazi force was nearby. She Planeswalked to another realm, where she went on a hunt with other elves. However, when she witnessed them attacking innocent bogarts, she fought the elves, but spared their leader. With that, she vanished into the deleted pages of 4chan, never to be seen again. 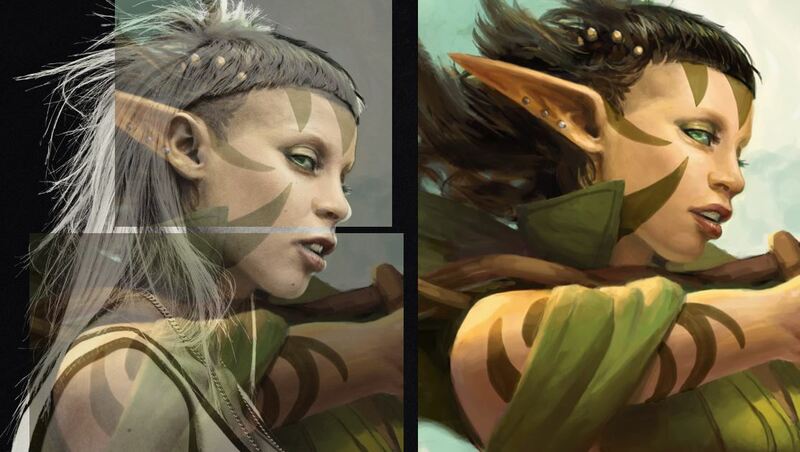 WotC was originally setting Nissa up to be a Green-based villain (or maybe a flawed hero) due to aforementioned massive racism, something she shared with the genocidal Elf Nazis of Lorwyn. In fact, her original fluff said that she learned a bit about Black mana from the Elf Nazis, but no card has ever shown that. Anyway, WotC realized they'd written themselves into a corner when they turned Garruk Wildspeaker, their flagship Green 'walker, into a vengeful monstrosity slowly losing his mind and/or morphing into a demon. They did perhaps their most blatant retcon in recent history to turn Nissa from an elf racist into a land-mage, a "worldwaker." Unfortunately, even as a hero, Nissa was still completely useless except as a plot device for the rest of her Gatewatch colleagues. At least her Planeswalker cards got better. As of Amonkhet, Nissa is now blue/green. This page was last modified on 26 January 2019, at 01:54.